If you are hosting a cool Galentine party this year, it’s high time to make the last preparations. 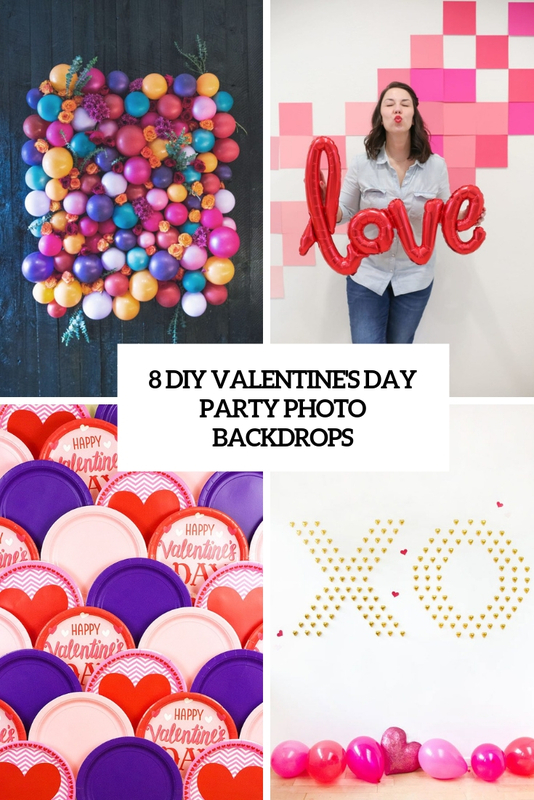 A photo booth is always a cool idea for a party, you all will be able to have much fun there, and I’ve gathered fun and whimsy tutorials of Galentine party photo backdrops suitable for kids and adults. Take a look! 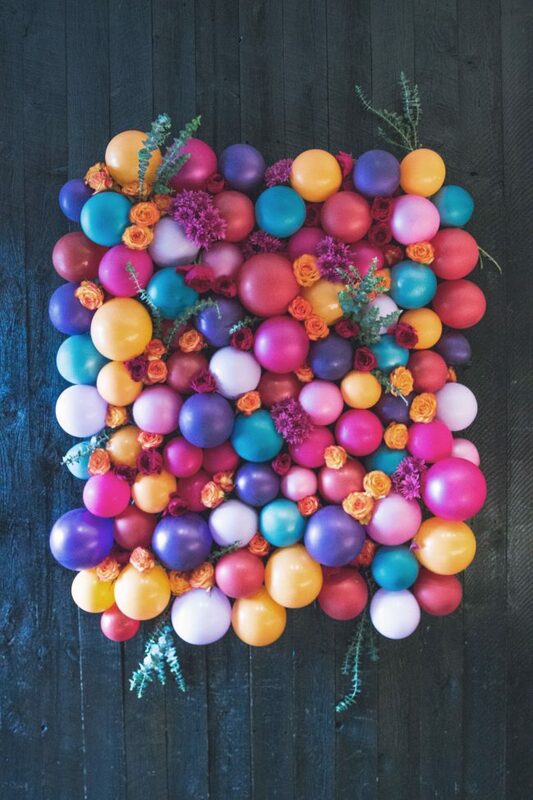 This gorgeous photo backdrop is an amazing idea for any party – from a birthday to a Galentine one. You may vary the color of balloons and blooms to fit the occasion or go for lots of bold colors like in the source. Attach some chicken wire to the wall and start creating a fantastic photo backdrop varying its size as you like. Enjoy! Here’s a quick and easy little Valentine photo backdrop for some family photos. This is a perfect photo backdrop if you’re on a money and/or time budget. There are only two materials and it took me about 10 minutes to put together. It would be perfect for a Valentine’s or Galentine’s Day party — you could snap photos of your guests or let them do their own thing with their smartphones. 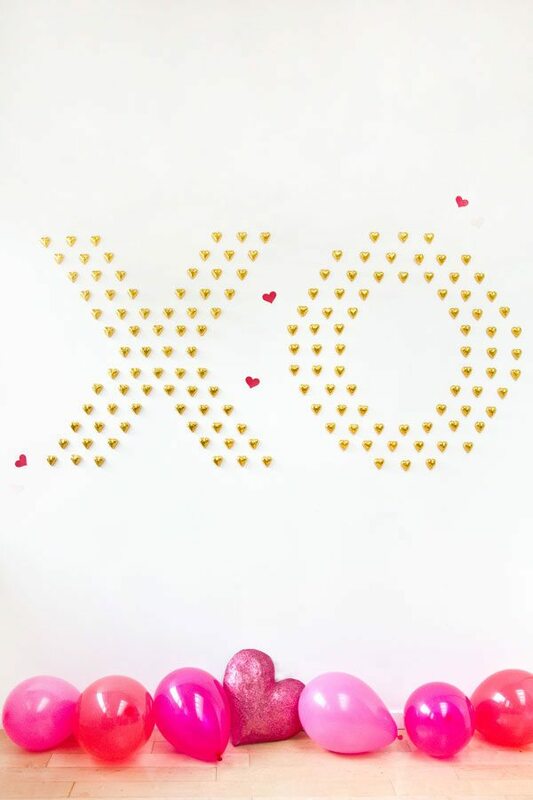 If you’re scrambling to do a little something sweet for your better half at the last minute, here’s a way to take the “box of chocolates” concept and bump it up a notch – a chocolate heart wall! Talk about a statement, right? All you need to do is raid the chocolate aisle at your local store and then get to spelling out a giant love note! 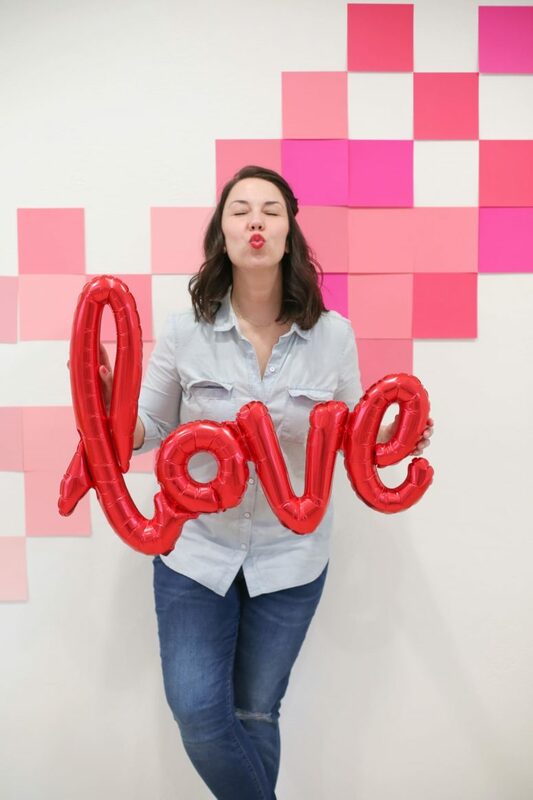 Enjoy crafting this Valentine’s Day photo backdrop that you can use for parties, photographing Valentines, or just decoration. It’s quick and easy, and you can use a variety of materials that you might already have laying around! XOXO would be pretty appropriate to make them life-sized on a wall to create a real Valentine’s Day ambience. So cool! Celebrate Valentine’s Day and then spring with some pretty scattered tissue paper flowers. They kind of look like a cross between tulips and poppies. But whatever they are, they’re lovely! 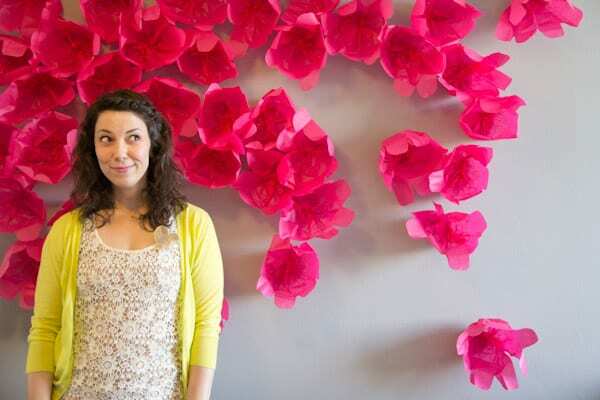 And this particular backdrop would be perfect for decoration at a shower or a wedding. Gather the supplies and go! 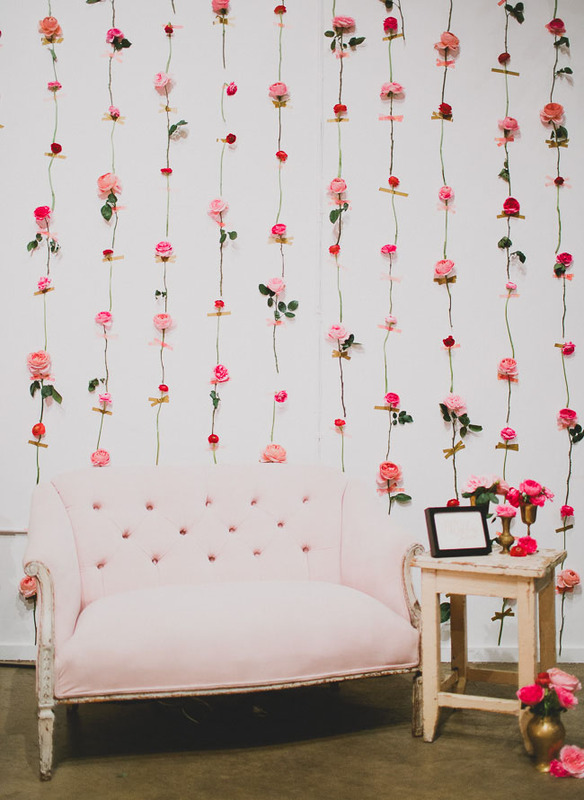 This is a luxurious backdrop idea suitable not only for Valentine’s Day but also for showers and weddings as it contains fresh blooms. We love how whimsical and pretty fresh blooms look on a wall and think this would make the most perfect ceremony or photo booth backdrop! We guarantee that you’ll have a lot of pics on Instagram with this backdrop. Enjoy! 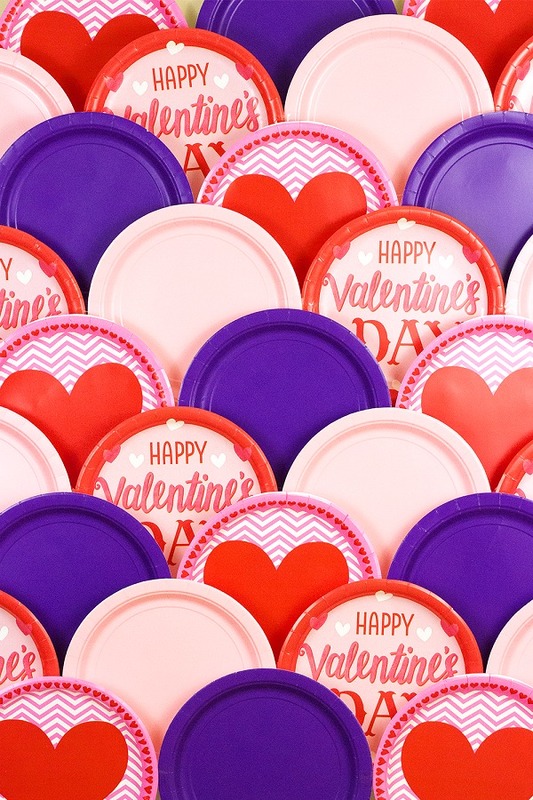 Hosting a Valentine’s Day party soon? Need a backdrop? Well don’t worry, you can make one that’s cute, unique, and cheap. All you need is a few dozen plates from the dollar store! All you need to do is to make patterned plates to create a bright backdrop and then attach it to the wall. To hang up your Moroccan plates backdrop, use pieces of packing tape to stick to the top row of plates, then stick it to a wall. 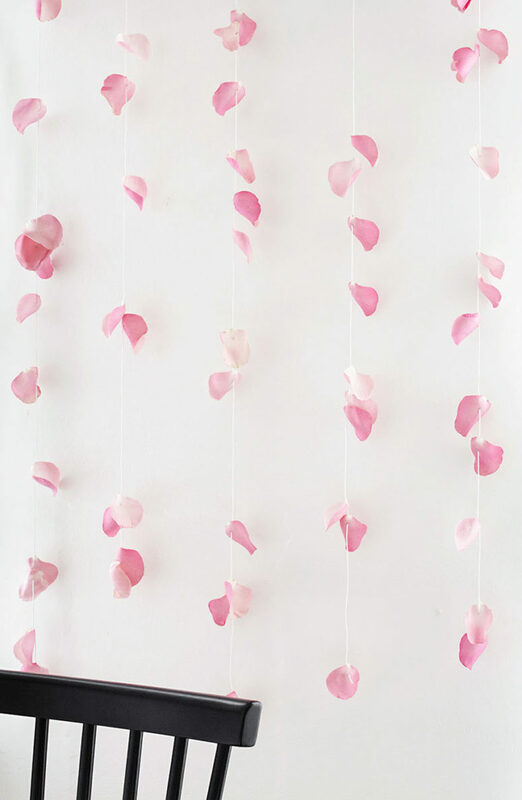 This rose petal garland backdrop is very easy to make and takes little time, and the results are pretty cute. You could even replace the petals with any flower heads, they smell amazing just like the flowers. Such a backdrop will be a nice idea for a Valentine’s Day party, a wedding, a girls’ party or just a cozy dinner for two – hang it on the wall to make the space more romantic.